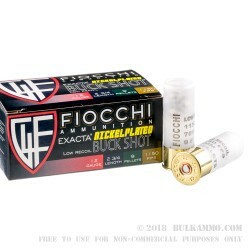 When you need maximum precision from your shotgun, turn to Fiocchi’s Exacta line of shotshells. Exacta shells use premium cushioned wads, precisely rounded shot, high quality propellants, and the most reliable primers to provide an uncompromising shooting experience for competition, law enforcement, or self-defense purposes. 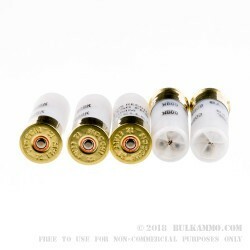 This 12 gauge load fires nine pellets, each of which is nickel plated for optimal shape retention, at 1,325 feet per second for consistent patterns and good midrange performance. Each box contains 10 shells. 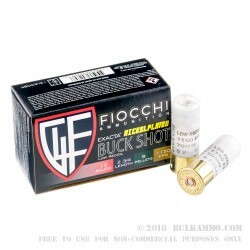 Each Fiocchi Munizioni shotshell sold in the US is also made in the US, at Fiocchi America’s plant in Ozark, Missouri. 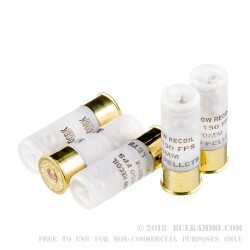 Fiocchi also produces an extensive selection of high quality centerfire rifle and pistol cartridges at the Ozark plant, while rimfire ammo comes from the company’s main factory in Lecco, Italy. Fiocchi has operated under the ownership of the eponymous Fiocchi family since its establishment in the 1870s and emphasizes long-term brand values such as superior quality and innovative design in its products. The company’s European operations are frequently tapped to provide mil-spec ammunition for NATO militaries.